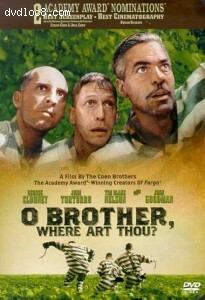 Synopsis: Loosely based on Homer's Odyssey, this whimsical tale follows three escaped convicts in 1930s Mississippi. On a quest to reunite with their families, they have wild adventures and meet a bizarre cast of characters. Includes lots of toe-tapping hillbilly ditties.